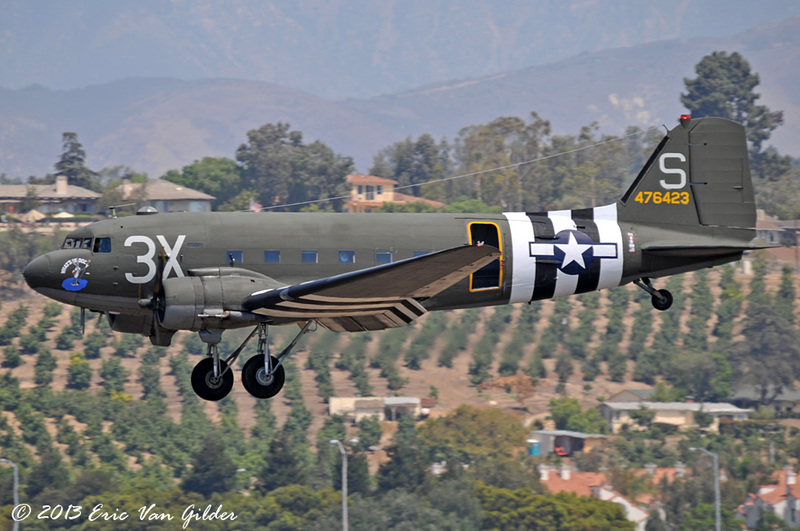 The Douglas DC-3 has a long history of service in both the airline and cargo industry and in the militaries of the world. 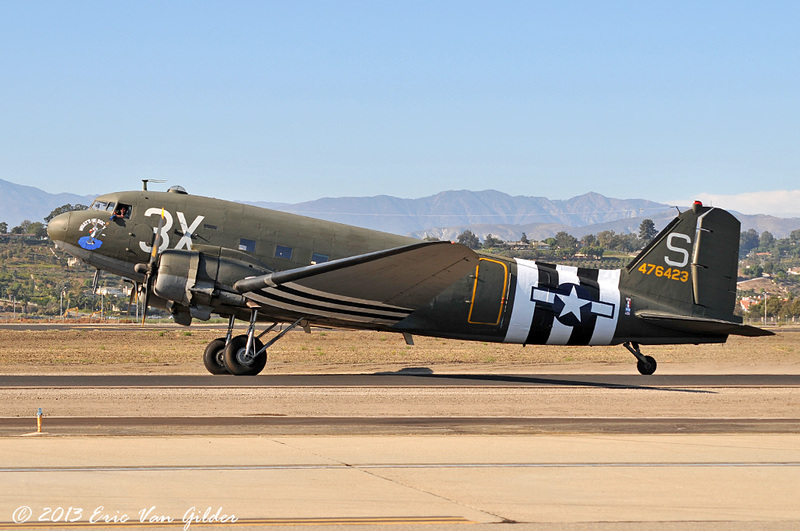 "What's Up Doc" was made during WWII and served in Europe with the American forces before going to France and Belgium. 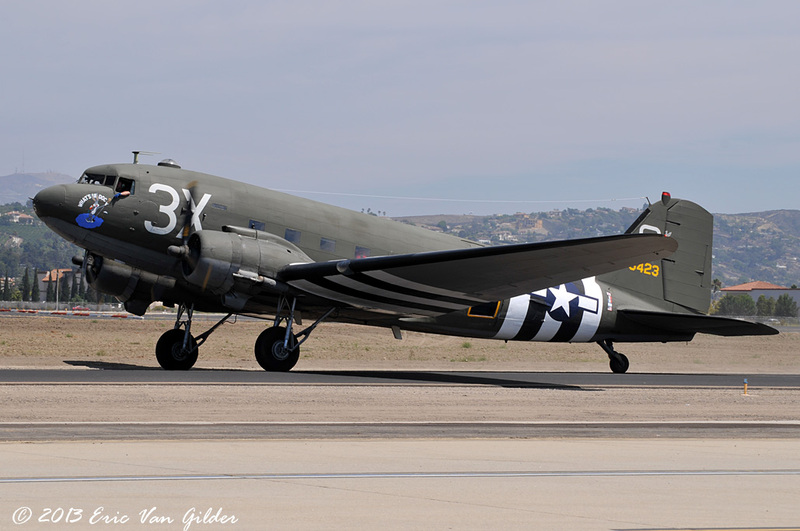 It was sold to Israel in the late 1940s, who flew it in military service until 2000. That's almost 60 years of continuous military service. 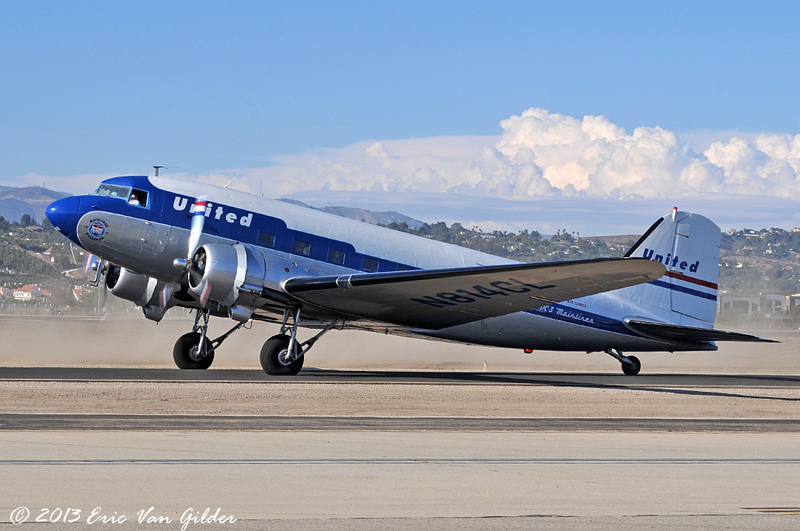 The last photo is of Clay Lacy's Mainliner O'Connor in United Airlines colors.